• Easy to identify offers with the help of "Sale Countdown Timer"
• It will also be displayed in the catalog and product page. 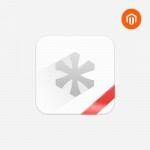 • Enable/Disable Sale Countdown Timer. 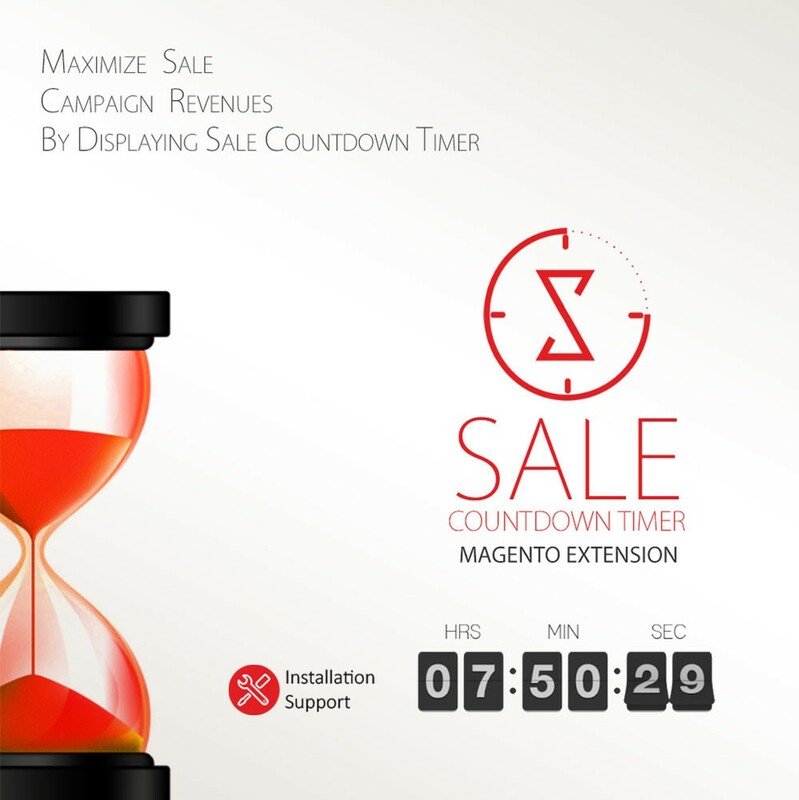 • Ability to edit Sale Countdown Timer’s Heading text. 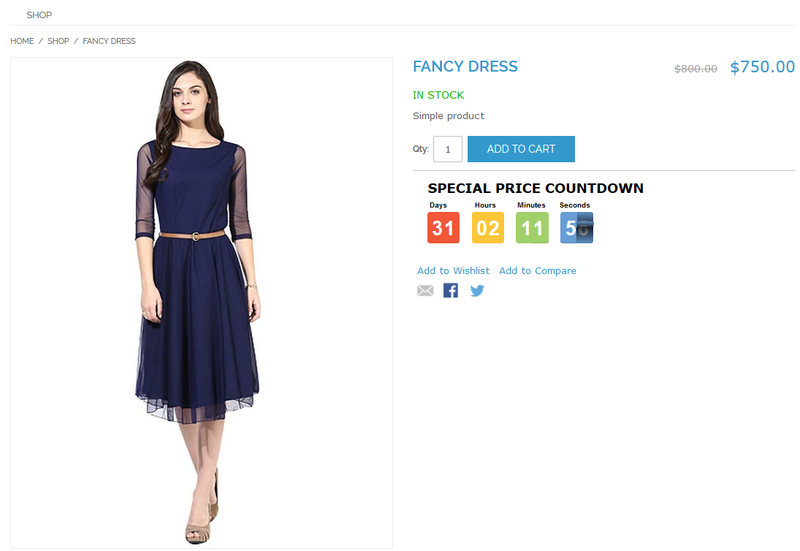 • Sale Countdown Timer can be enabled/disabled separately in list/view page or can be hidden in all pages. 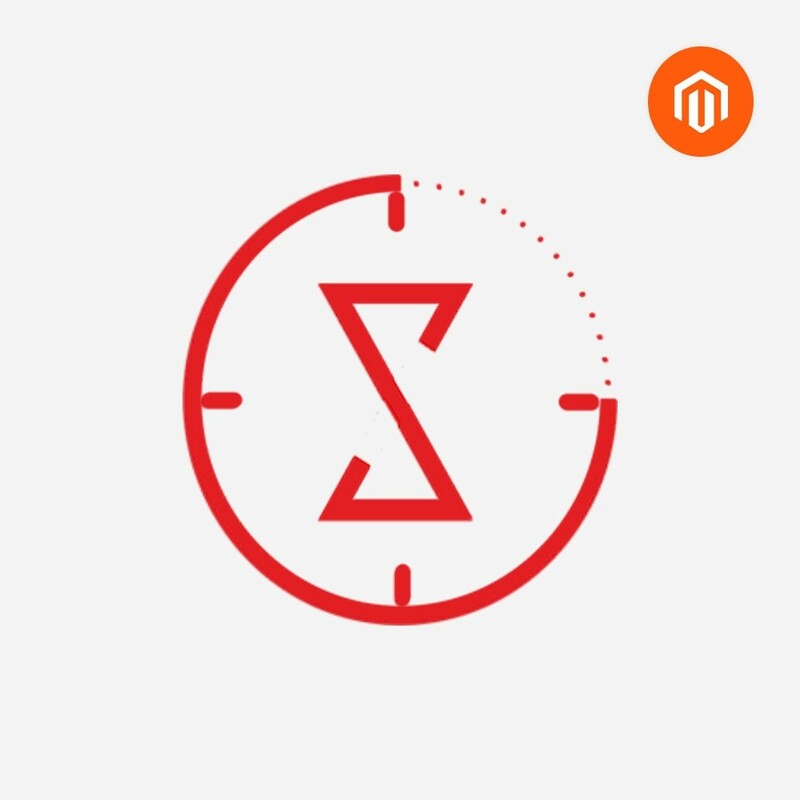 Sale Countdown Timer is magento 1x extension that is adding backward countdown on special price to individual products. Adding a sale countdown timer creates a sense of curiosity and urgency in the minds of your visitors and can lead to a dramatically higher conversion rate. 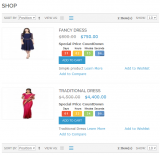 It is possible to set the self timer for a particular product in which the special price is already set. 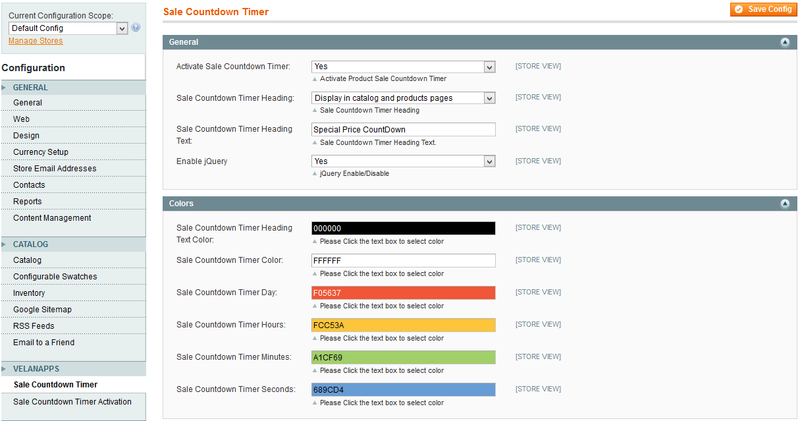 Sale Countdown Timer is fully customizable through Admin Panel. This extension will show the number of days/hours/minutes left for the deal to end. This will also be displayed in the catalog which helps the customers to find the best deal with the end time. 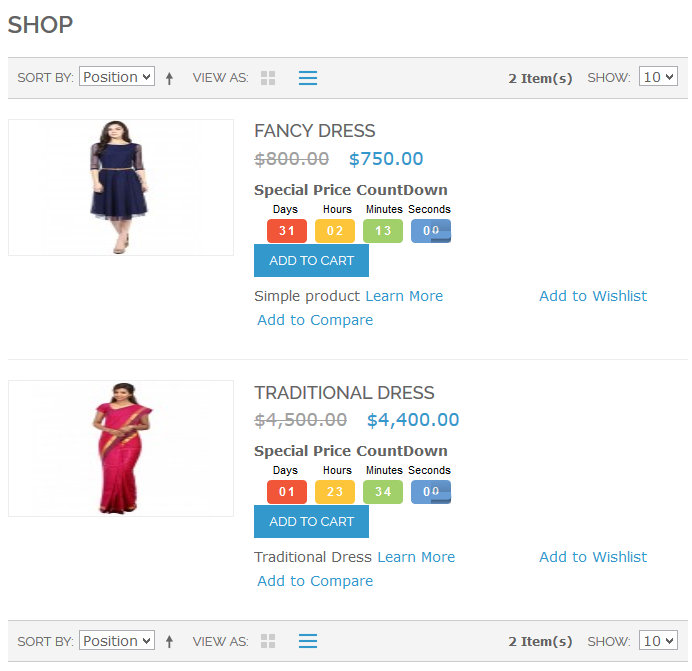 • Option to enable/disable "Sale Countdown Timer" for individual products. 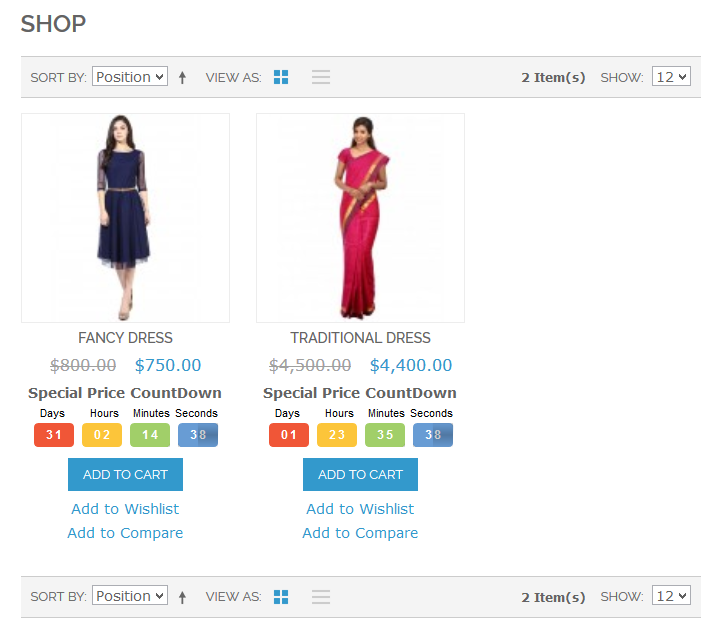 • Option to show or hide heading for "Sale Countdown Timer". • Option to enter custom heading for "Sale Countdown Timer"
Hope to have more work together in future.